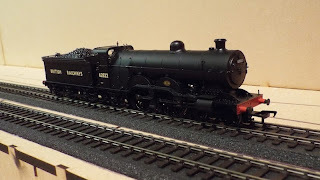 THE BRITISH RAILWAY STORIES LTD: "Locomotion's new Ivatt Atlantic C1 model: a review"
This review was first published on MREmag on the 1st of May 2015. When the Shildon outpost of the National Railway Museum (NRM) announced their latest National Collection model, I was overjoyed. 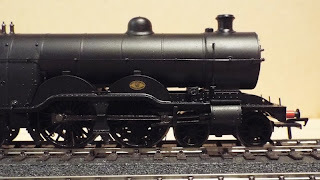 For many years the large boiler C1 Ivatt Atlantics had held something of a fascination with me. So much so, that one of the first models I bought for my own model railway was a part built DJH kit of an Ivatt C1. Coincidentally, and as the picture below shows, I turned it into a model of 62822. That model is now long gone, and in its place is the recently arrived Bachmann made model, the model I ordered coming in exactly the same livery as my original! It is a model of 62822 with ‘British Railways’ on the tender (product number 31-766). So, how does it shape up? 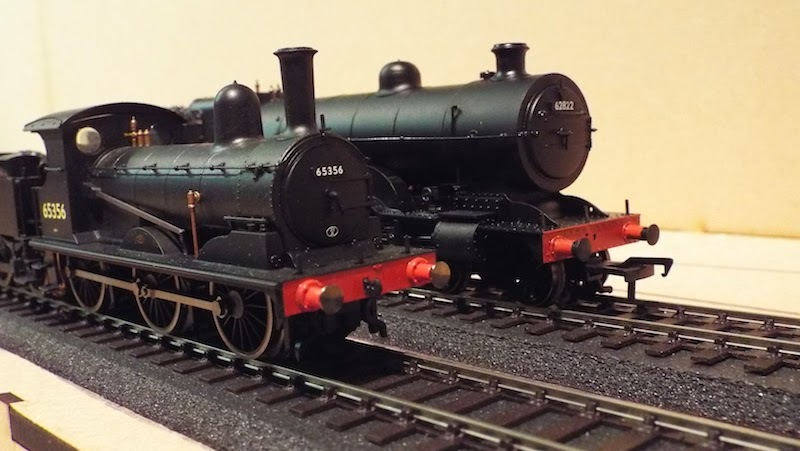 The Bachmann model is superior to the kit model in almost every way conceivable. The shape of the boiler, dome, chimney, cab cut out, the depth of and finesse of the running plate are all a spot on match for the Isinglass drawings of the C1 class and photographs of the class. The tender is a very accurate recreation of the one of the types the C1s pulled, and the level of detail on the footplate is astonishing. Gauges, piping, levers, regulator...all picked out in appropriate colours. There is a fire shield for the fire hole door, and it works! The shield can be opened or closed. This is a mind boggling bit of detail. I cannot think of a time where I would actually pose it on mine but the fact it is there is impressive. The turned whistle and safety valves are beautifully turned metal items, though the safety valves look microscopically taller than they should be. It's a very minor niggle. The printing of the letters and numerals on the tender and cab are crisp in application, a nice accurate cream shade and also the correct font (Gill Sans). All are, however, perhaps a smidgen too large and again, thats a very minor criticism for what is otherwise a well applied and handsome livery. The works plate is entirely legible and is a wonderfully printed version of the real thing. I do feel this should have a little more relief, but that's a very, very minor nitpick and to be frank isn't anything new from any of the model manufacturers in Britain (works plates, if they are included on models, are almost always printed). At the front end, the motion is very fine, but the connecting rod to the rear driving wheels is cranked roughly halfway down its length. I had my C1 running back and forth, and I suspect if I had not been aware of the nature of the design choice, I would have been unlikely to spot it straight away. It does beg the question – given that the Great Central O4 model from the same stable has a similar set of outside motion and a step in the way too, as to why this was considered necessary? 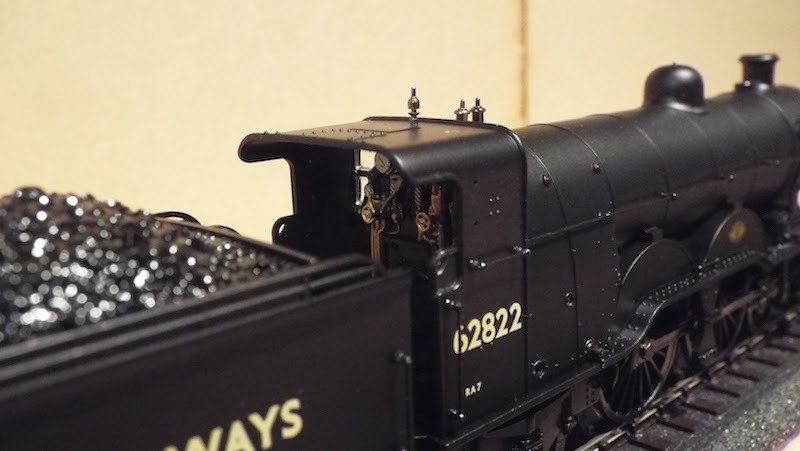 This bothered me for some time until I decided to inspect one of my Bachmann O4s to find out: and I was astonished to find that its connecting rod is also cranked in a similar way! Interestingly I think it is hidden better on the O4, which has the crank in its connecting rod further down, behind the step. This gives the illusion of there being no crank at all! However, I do think of this as one of those potential solutions which might have worked as good as any other. The other solution would have been to make the steps thinner – and potentially more fragile) and push the motion out further to clear the crankpins on the leading driver (which is the source of the problem). Overall it just doesn't strike me as a big deal. Putting the locomotive through its paces, I am positive it's not actually discernible at a scale forty miles an hour. 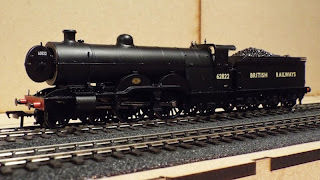 It is interesting to note that, unlike my original DJH C1, the driving wheels on the Bachmann model are scale for the wheelbase but potentially a little under scale in actual diameter. It's as good a solution as any to the problem of modelling the wheelbase of a Great Northern built Atlantic, the gap between the driving wheels on the real thing being somewhat tight in itself! 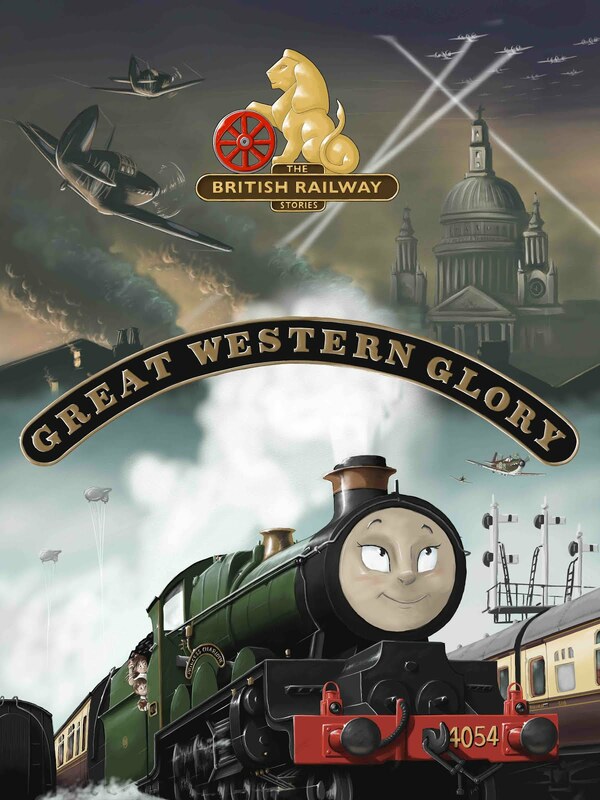 Again this is barely – if actually – discernible and I think Bachmann have done an excellent job in replicating the driving wheels of the real thing. On the boiler, we find that the smokebox door even opens! This was a detail first featured on Bachmann's Standard 3MT locomotive, and on that I felt it was a gimmick of sorts, not really producing the effect needed by having the blast pipe arrangement too close to the inside of the door. On the Atlantic, it looks more realistic and that is is in no small part due to the fact the blast pipe arrangement is actually directly under the chimney. I question the need for it but there is no denying that it is well made and looks rather realistic. The door itself has a beautifully moulded dart and handles as well, which are all separate.It very much captures the shape of the GNR smokebox door. 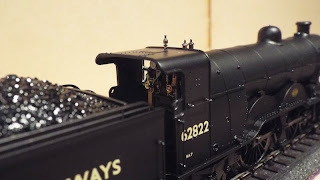 There is a bag of additional details which include, in no particular order, three link couplings, brake gear, cab doors, fire irons for the tender, additional replacement parts for the tender (once the coal load has been removed), there are sight screens for the cab sides in clear plastic, a speaker mount and even a single white painted GNR style lamp. Separately fitted handrails, lamp irons on loco and tender, all wheel pickup (except the front bogie) and the surprising number of detail differences between this 1948-50 era locomotive and its GNR and LNER versions all give this model an incredible presence. In reality, it's smaller than a Thompson B1, and yet gives off this wonderful air of being bigger than it really is. There are, however, a few minor negative points which are worthy of mention, even if they don't necessarily ruin the model in a practical way. The first concerns the brake blocks on the tender. These are moulded in line with the frames, and look very flat and awkward. Even if the model was to be converted to, say, EM or P4, by moulding them in this way it means the wheelsets will not ever be actually in line with them. From normal viewing distance, and probably with some weathering, it's not discernible but given this has been done very well on previous Bachmann models, it is a disappointment to see them here. The buffers are not sprung. This had me scratching my head a little. I am almost positive that Bachmann already make suitable buffers (and if not 100% accurate, they are very, very close). That product is still available – 36-032 – and simply fitting a set of them at front and rear instantly improves the overall specification. Very few models these days don't have sprung buffers, save for the design clever era of Hornby Plc, so why Bachmann have decided to fit unsprung buffers here to a premium model is something of a mystery. Now, practically, we all know sprung buffers are actually of limited use and sometimes a bit of a hindrance if we're honest (where buffer lock occurs with sprung ones on locomotive and coaches, for instance) but for the price of the model and in comparison to similar specifications that Bachmann and other manufacturers have followed, having unsprung buffers seems retrograde. The final negative point is another minor niggle, but for me it's actually a very avoidable error. 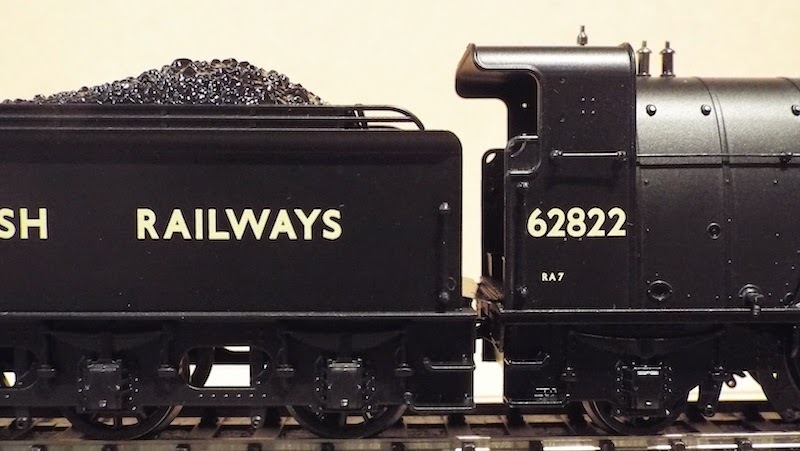 I've checked photographs, Yeadon's Register, I've gone through a nunber of my Atlantic books, I've looked at British Railway Pictorials and almost every source I know that shows 62822 in its plain black livery, and in its final livery with the lined out tender. Every single photograph I've seen shows that 62822 should have had the cut out in the tender side sheets as per the cab. In other words, the same tender top fitted to the GNR liveried model and not this type. Let's be fair about this. 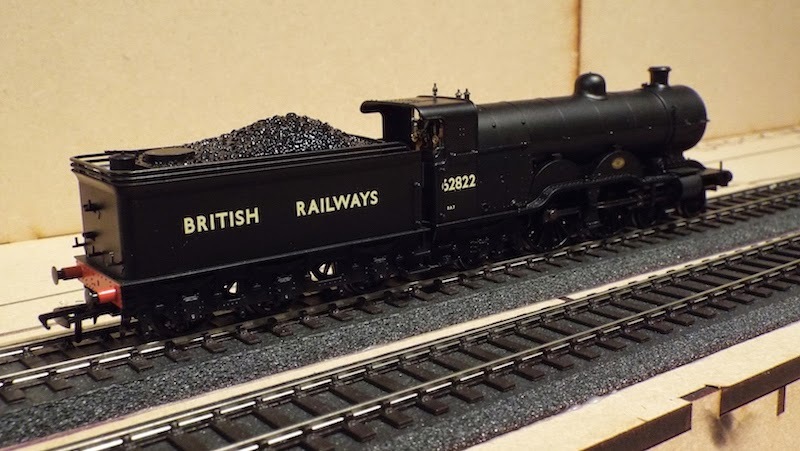 Renumbering the model to no.2877 in plain black livery would be correct, and yes for a modeller this is a simple enough job, including perhaps removing the smokebox numberplate. However, looking through my reference material, it's not correct for 62822 it is also not correct for 62825 in this time period either. Of course, I could be (and often have been) wrong, and for X amount of time in Y year, 62822 could have pulled this type of tender instead. If so, let me be the first to humbly apologise to both the NRM and Bachmann. It is as far as I can see currently, an error. Is it a serious one? A learned LNER modeller of many years remarked to me a few weeks back that something along the lines of “a loop of wire and a drill will sort that”. He's absolutely right and as a modeller, it is something I am prepared to do but it seems a shame to tool up the correct tender body shell and then to not use it. Do the negatives outweigh the positives? Absolutely not. I highly recommend this model for a number of reasons. Firstly, it's beautiful. Look at it. 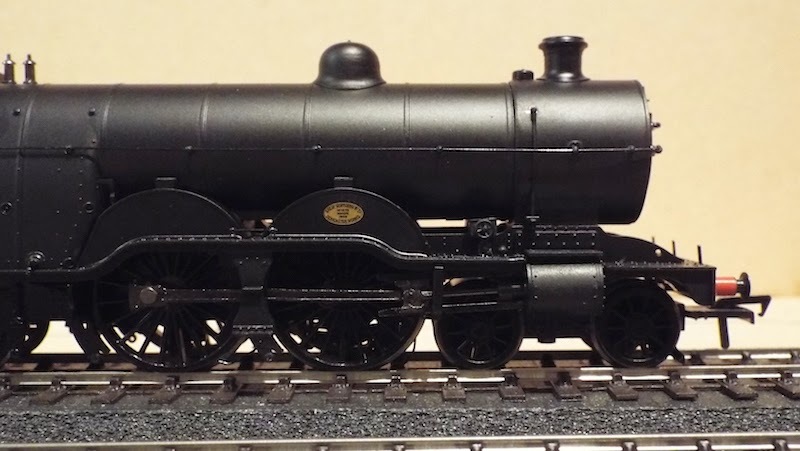 There is no better proportioned or elegant steam outline model being sold today. It's a wonderful scale model. Secondly, after some running in, it's as smooth as a sewing machine, and actually has some guts despite its wheel arrangement (I have so far with my model of 62822 managed seven of Hornby's top range Gresley Teaks. The model is always a bit slow to start, but with careful driving round my test track, it hauled the train comfortably). Thirdly, you are not going to get an alternative to this model. If you model the London and North Eastern Railway in any way, shape or form (or Great Northern Railway, for that model) then you need one of these models. There isn't going to be an Ivatt C1 coming from Hornby, or Dapol, or Heljan, or Oxford Diecast, or anyone else credible. It's this model – and no alternatives. Given they were ubiquitous on the Pullman and London-Scotland expresses before the Pacifics came along, and even when replaced en masse effectively by Gresley, Thompson and then Peppercorn machines on their original workloads; they soldiered on, through two world wars and just into the turn of the 1950s. 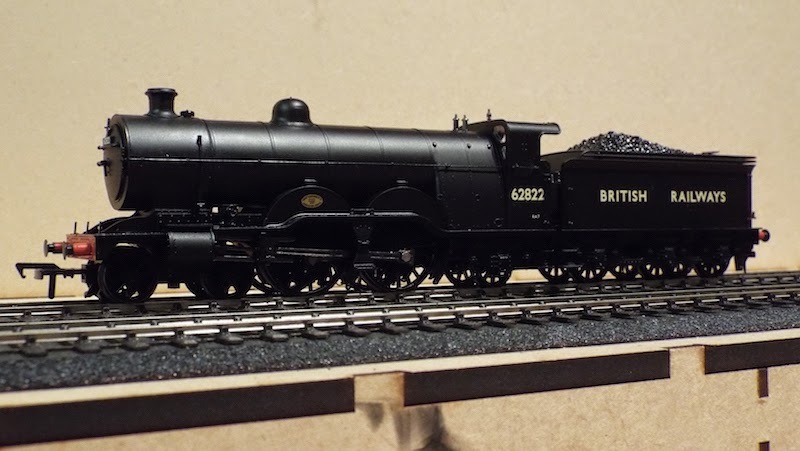 Accepted, the Ivatt C1 is not going to be suitable for the smallest and lightest laid of branch line layouts but anything with a hint of a mainline set in the LNER period should probably have at least one or two knocking about. So, am I happy with my purchases? Very. The negatives do not by any stretch of the imagination outweigh the positives of this model. 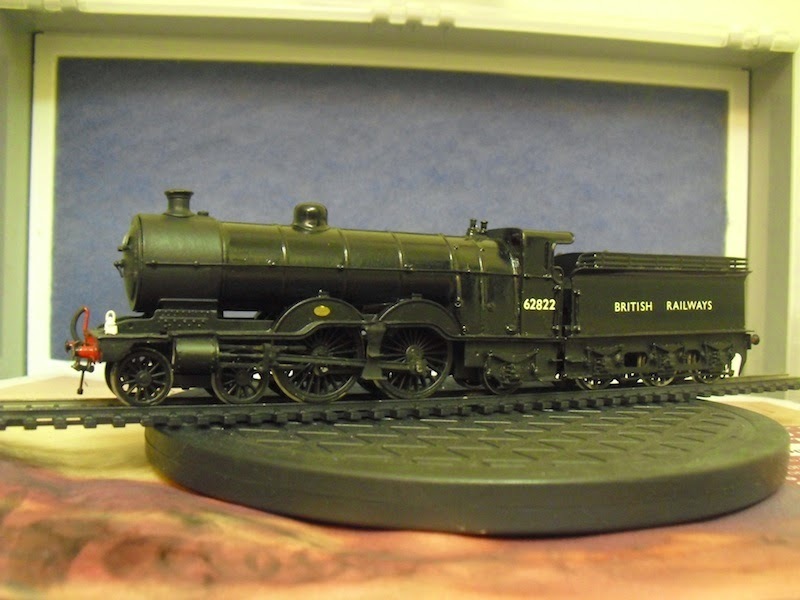 If you're a serious modeller of the LNER, you need one. No kit will match the quality of this product, frankly, and I can say that having built and re-built one. There is one thing I do want to address, separately from MREmag. There's been a lot of comparisons made between models over a number of years, not least because of the Model of the Year awards given out. A few people are clamouring for the Atlantic to be this year's model of the year. It's a close run thing for me, but Hornby's J15 just edges it. There are less compromises in that model overall, with an equally beautiful level of finish, and the specification is higher for a model significantly lower in price. Yes, one is a "main range" and one is a "limited edition" but they're both new tooling and both from the main stables for our hobby. There are therefore certain expectations of both models. If the Atlantic had come out last year, I'd have had no hesitation in labelling it model of the year. However, in a year with the release of Hornby's K1, J15 and D16/3 on the horizon, it really would have had to have had a higher specification overall to win. 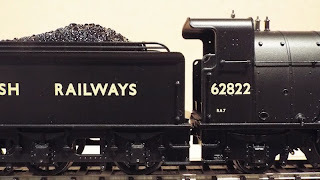 That does not, however, mean it's not worth having and I thoroughly and wholeheartedly recommend this model to any modellers interested in the Ivatt Atlantics of the Great Northern Railway.